Find out what Martin Thaulow is up to right now | Get the latest updates and news. Bill - portrait of a local citizen taken during the TV-recordings . Photo by Martin Thaulow. 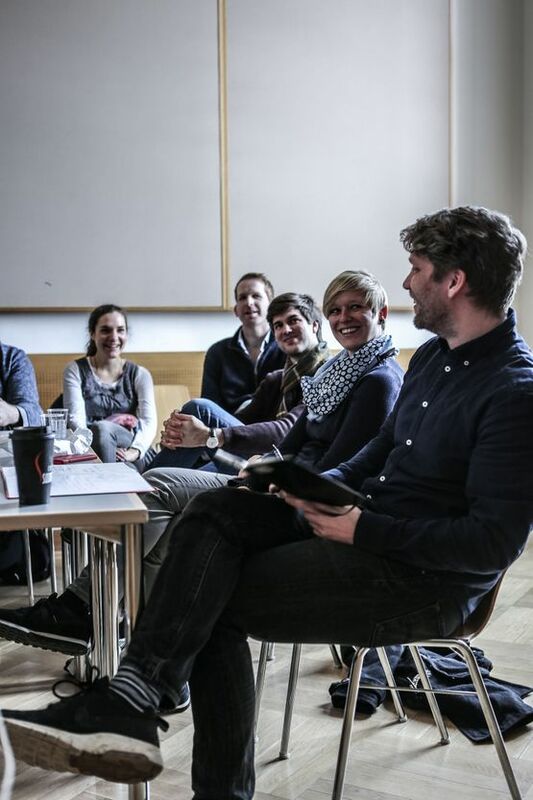 'Stafetten' (The Baton) is a weekly recurring program at the local broadcasting station TV2 BORNHOLM portraying local people living on the isle of Bornholm. The baton was given to Martin Thaulow, who decided to challenge the format of the TV-concept by inviting himself into the homes of total strangers in the small community where he lives. In the living rooms of the strangers Martin gives his own personal interview and in return for the generosity of those opening their homes he takes a portrait of them. Pavlos Pavlidis As. 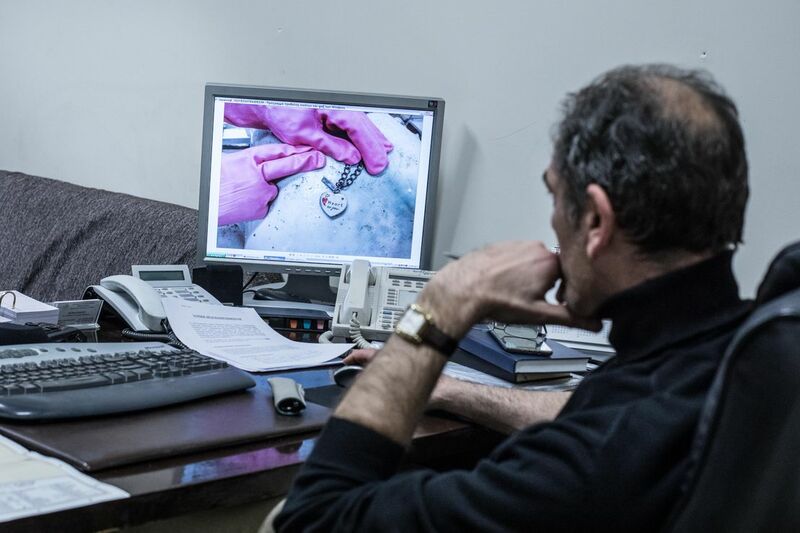 Professor af Forensic Medicine at University Hospital of Alexandroupolis. Photo by Martin Thaulow. Martin Thaulow travelled to Bulgaria and Greece earlier this year with with Refugee.Today and journalist Florian Elabdi from The Turban Times to uncover some of the stories on the edge of Europe. 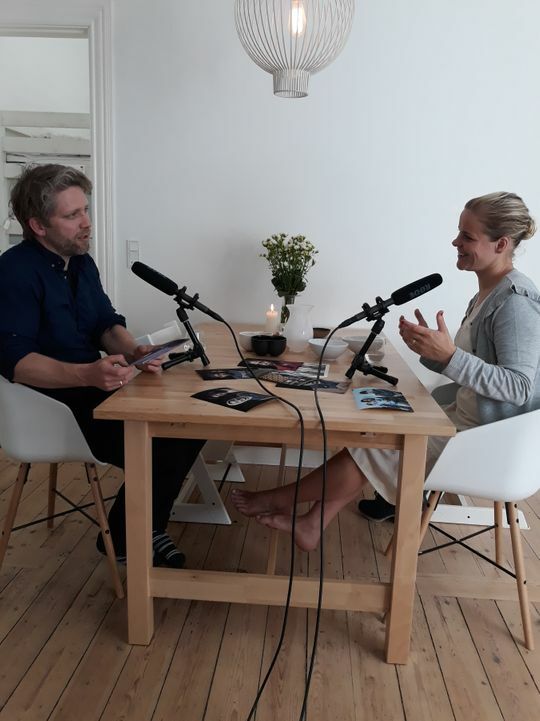 Martin Thaulow and Maren Elise Skjerlie Gilling in the radioprogram 'Mikrofonholder' - Radio24syv. The Danish radio Radio24syv have asked a range of Danish people, who they want to meet the most. One of them asked was the hard working Maren Elise Skjerlie Gilling, who is involved in helping refugees in the bordering ares of Syria e.g. She appointed Martin Thaulow and they met in her apartment for a personal talk about their experiences and points of view in relation to their work. The 55 minutes program is in Danish and will be broadcasted on May 31, 2018. 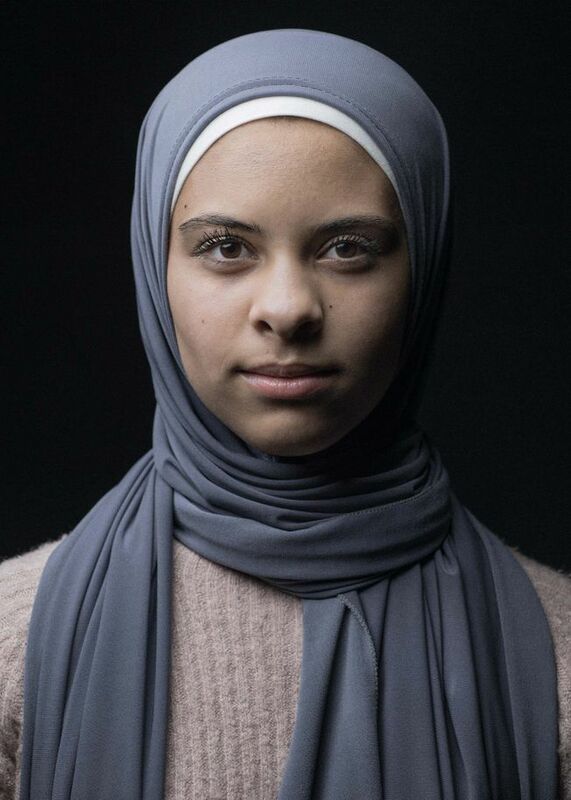 Yara a Syrian refugee from Damascus, 2018. Photo by Martin Thaulow. Martin Thaulow is one of the carefully selected photographers at Scandinavia's largest photo venue Copenhagen Photo Festival. He will be showing his work in 'Photo City' in an outdoor exhibition called 'Postcards from...' The exhibition display of a selection of refugee portraits from his encounters in Europe and the Middle East. The opening of the venue will be on June 7 at 5.00 to 21.30 pm. The artist will be at the opening. Artist talk about 'Postcards from...'. in the Photo City at 2.30-3.00 pm on June 10. On Sunday June 10 there will be a series of artist talks at 'Photo City' - the venue of Copenhagen Photo Festival. The artist talks take place from 11.00 am till 4.00 pm. Martin Thaulow will talk at 2.30-3.00pm. He will speak on site (outside) at the location of the outdoor exhibition 'Postcards from...' He will talk about his extensive work with portraying and documenting the lifes of refugees during the past 4 years. A work that so far has taken him on more than 20 journeys in Europe and the Middle East. 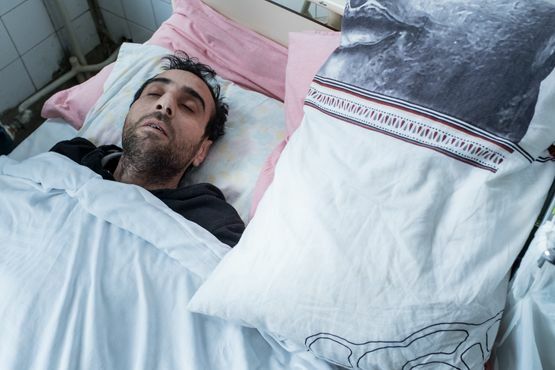 Maher Abdulfatah Mahmoud in the hospital in Sofia, Bulgaria. Photo by Martin Thaulow. In February Martin Thaulow was travelling with journalist Florian Elabdi to Bulgaria and Greece to cover the refugee situation and to take a closer look at the bordering areas of Turkey. Florian wrote the Long Read '18 Days in the Wilderness - A Refugee's Escape from Europe'. A story about the Syrian refugee Maher Abdulfatah Mahmoud, who survived 18 days in nature after trying to cross a river and the border to Turkey on a cold December day last Christmas. Maher miraculously survived, but got severely handicapped after loosing one leg and parts of his other foot. Martin Thaulow told the story in images. 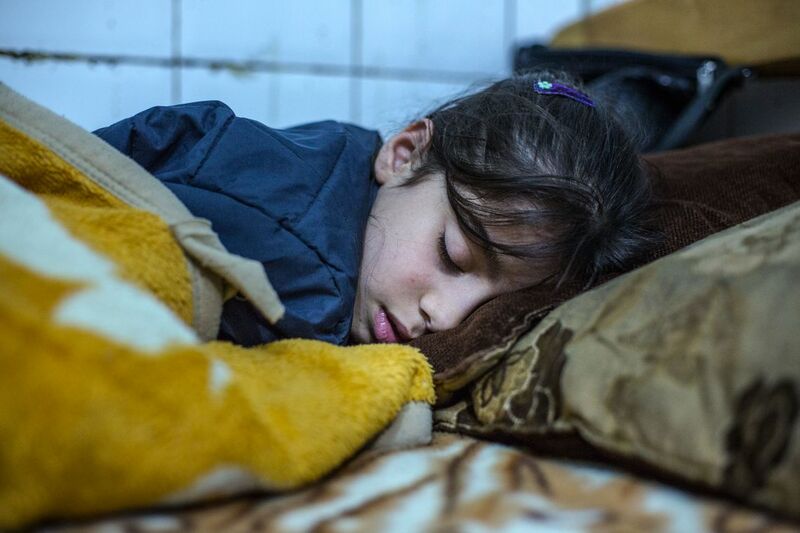 Sara (7) sleeps on a bed in one of the poor areas in Beirut. It's been a long day as her mom has been held back at a policestation claimed of disturbing the public in front of UNACR's headquarter in Lebanon. The family have no money and Sara and her siblings don't go to school. Photo by Martin Thaulow. Martin Thaulow travelled to Lebanon with Middle East and refugee expert Mathias Findalen to have a closer look at the situation in one of the bordering areas to the conflict in Syria. To bring focus to the current situation Martin and Mathias contributed with a photo essay for Amnesty Denmark's printed Member Magazine. 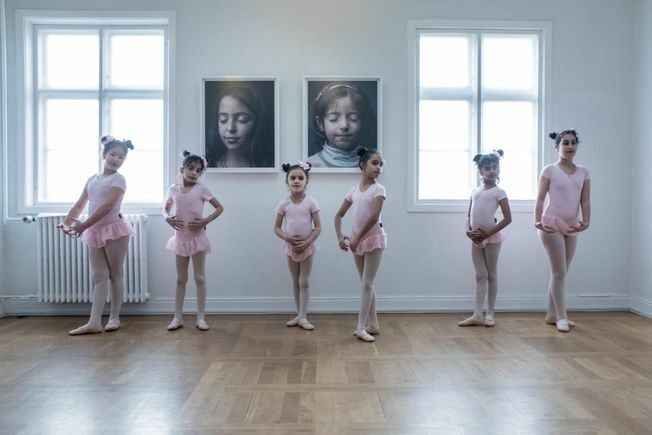 Refugee children dancing ballet at the opening reception at the museum. Photo by Martin Thaulow. 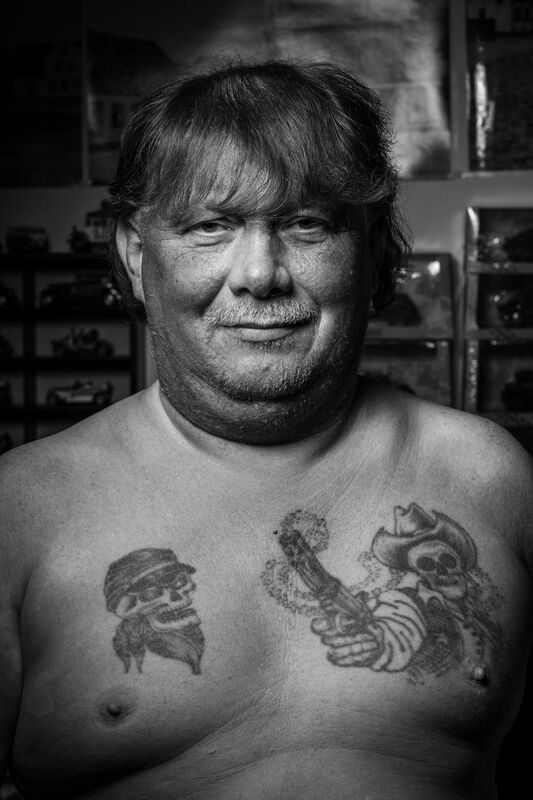 The Voices of Refugees Living on Bornholm - As part of the exhibition “Flight for life” made in collaboration with the The National Museum of Denmark, artist Martin Thaulow exhibits a number of portraits of refugees living on the island of Bornholm. Through his portraits he seeks to show a different perspective to the mass term ‘refugee’ and show each human as an individual person with a name, a face and a story. Exhibition | BORNHOLMS MUSEUM, Sct. Mortensgade 29, 3700 Rønne, Denmark.